It’s been slightly over a year since the UK voted to leave the European Union, and while the full ramifications of the decision to Brexit are as yet unknown, the dramas of the past year have already had a serious impact on the outlook for the UK economy, businesses and the Pound. 2017 began with as much uncertainty as 2016 ended, with questions surrounding the nature of the deal to be struck between the UK and the EU, and the timing of Article 50, which was eventually triggered on 29 March 2017. Looking to solidify her position as Prime Minister; Theresa May announced a snap election on 18 April 2017. Markets took this positively, as it signalled a likely full term in office, since the previous two year term would have coincided with the end of the Brexit negotiations in 2019. However, a disastrous election campaign denied any party a majority in parliament, and fomented a sense of political chaos just days before Brexit talks began. The Pound significantly weakened after the announcement and still remains substantially below its pre-referendum level. In the US, political establishment was turned on its head when Donald Trump was elected as President. Since the President Elect was sworn in on 20 January 2017, the ensuing months have proven to be controversial, beginning with the signing of executive order 13769, “protecting the nation from foreign terrorist entry into the United States”, and the decision to leave the TPP (Trans-Pacific Partnership). Most recently, the world has watched wide-eyed as the United States and North Korea have entered a stand-off, similar to the Cuban Missile crisis of 1962. The chance of North Korea launching a nuclear missile has signalled the potential for a World War between the two countries and their allies. Naturally, all of this uncertainty has generated ongoing weakness in the value of the dollar throughout 2017. The euro has come out as the currency on top. In France, Emmanuel Macron defeated far-right candidate Marine Le Pen, becoming the country’s youngest president. 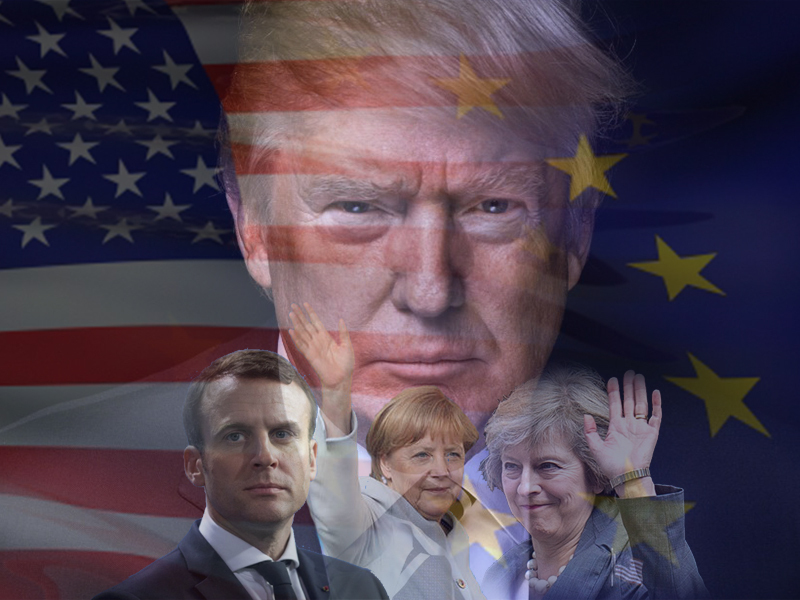 He has pledged to unite the country after a highly divisive election, with challenging goals in mind; end years of high unemployment and sluggish economic growth, deal with a terrorist threat that has traumatised the country, and ultimately, restore faith in the political establishment. Estimates see Britain being faced with a Brexit bill as high as €100 billion to the EU, and the demand that European citizens living in the U.K. at the time of Brexit have the right to permanent residence after living there for 5 years. The negotiations, taking place over the course of the next two years, will determine what sort of deal the UK and the EU can strike, as well as the future value of the pound. In the US, the fate of the dollar rests in Janet Yellen’s hands. As the chair of the US Federal Reserve, she has hinted at less frequent rate hikes. Interest rates hikes, used to keep inflation in check and prevent the strong US economy from overheating, have already occurred twice this year. The Fed now believes it is not that far from the neutral rate, which is where the benchmark rate does not boost or hold back the economy. Political uncertainty remains a hot topic in the EU. As the campaign for September’s parliamentary elections get under way in Germany, markets are expecting Merkel to secure another 4-year term which would allow her to fulfil her long-term vision. In Italy, another key EU contributor, the result of 11 June 2017 local election showed that if centre-right parties can unite under a single-leader, they would be a force to be reckoned with at the general election, due to take place in late May 2018. 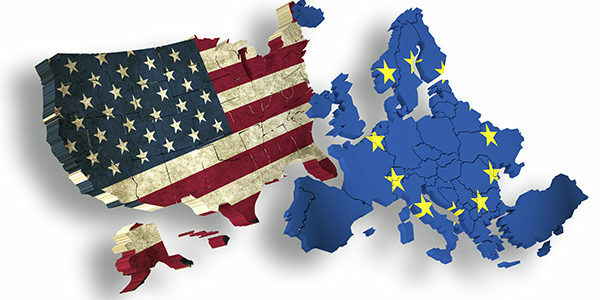 Analysts expect that much like the US and UK, political uncertainty is bound to weigh on the Euro. In Britain, all is dependent on the continuing Brexit negotiations. The Pound has had a positive first half of 2017 against its major peers. As the potential for a soft Brexit becomes closer to reality, Sterling is returning to a fairer value, after being oversold for so long.